Your knees keep you mobile and strong throughout your life. They’re also one of the first areas of your body affected by arthritis and injury. Knee surgery is actually one of the most common inpatient procedures in the Unites States, with about 4.5 million Americans living with at least one fully replaced knee (1). The best way to keep your knees healthy is to stretch daily, stay fit and eat well. 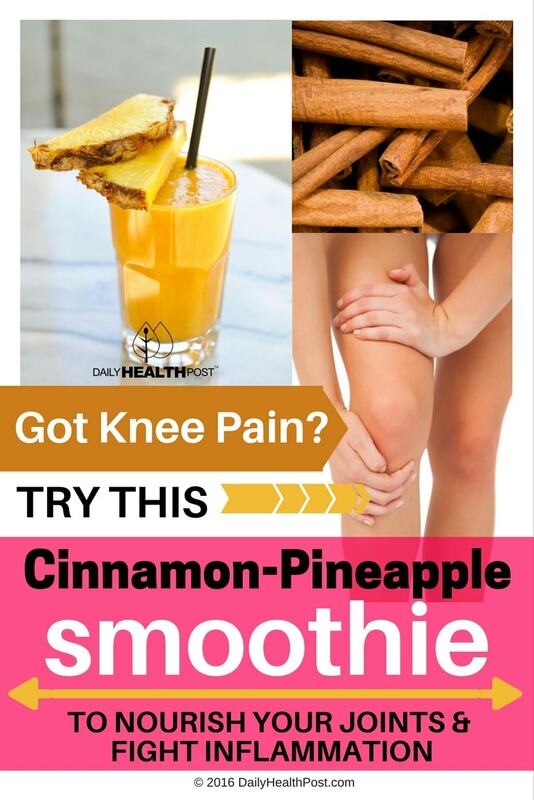 If you need a little extra boost or suffer from arthritis, drink this smoothie daily to improve the condition of your joints and ligaments. Cook the oatmeal as per package instructions and let it cool. Add the orange juice, cinnamon, honey and almonds into a blender and mix. Next, add pineapple and pulse for 30 seconds. Finally, add oatmeal and blend until smooth. Drink immediately or store in the fridge for up to 3 days. After two weeks of daily consumption, your should feel less pain and inflammation throughout your body, joints included! Pineapple contains an enzyme called bromelain which treats swelling and inflammation. It is often used to reduce inflammation from tendinitis, sprains and strains, and other minor muscle injuries and can reduce pain caused by arthritis (2). Almonds contain protein, calcium, magnesium, zinc, vitamin E and immune-boosting alpha linolenic acid (ALA), which are all important in the treatment of arthritis and osteoarthritis (3). Orange juice is high in vitamin C, which slows the wear and tear of joints by playing a key role in the formation of collagen, a key component of cartilage and bone (6). Honey has natural anti-inflammatory compounds that work together to heal arthritis, and contribute to healing gout and other joint conditions (7). It also sweetens your smoothie and boosts your immune system. Oats and other whole grains actually relieve inflammation. However, refine grains (like white flour) contribute to inflammation. 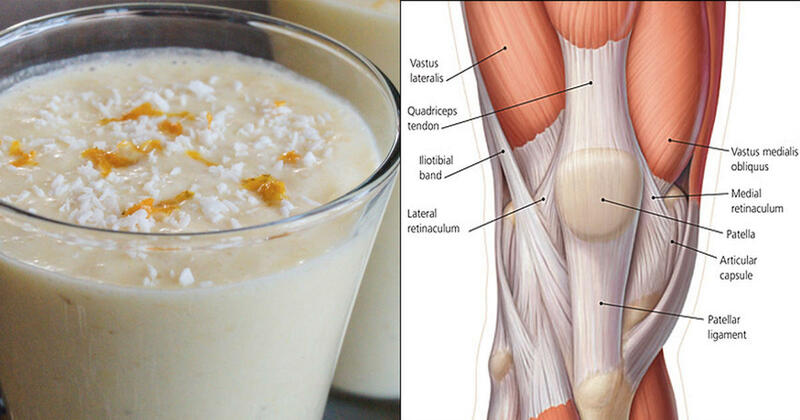 Sports nutritionists actually suggest oatmeal as a post-workout snack to prevent joint and muscle pain (8).